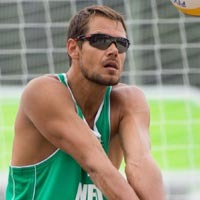 ri">� In the 2008 Beijing Olympics Nummerdor qualified with Richard Schuil as the fifth seed. The duo went 3-0 in pool play, then 1-1 in bracket play, placing fifth. Most memorable Beach Volleyball moment? - My first World Tour victory in Bahrain 2007 with Richard Schuil. When your beach volleyball career is over, what would you like to do? - Stay active in (beach) volleyball in some way.